The Czech prime minister, Andrej Babiš, and his Hungarian counterpart, Viktor Orban, say they want to hold a Visegrad Four meeting prior to an informal European Union summit in Salzburg in mid-September. 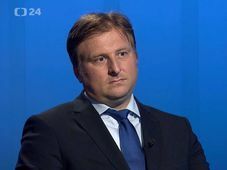 The two politicians made the comment after bilateral talks in Budapest on Friday evening that focused on economic cooperation, migration and the EU budget. Mr. Babiš said that the last time Czech, Hungarian, Polish and Slovak leaders had held a V4 meeting was back in June. He also told reporters that Mr. Orban had accepted an invitation to Prague and would visit the city at the end of October.